Project: Remodel your closet for better organization. 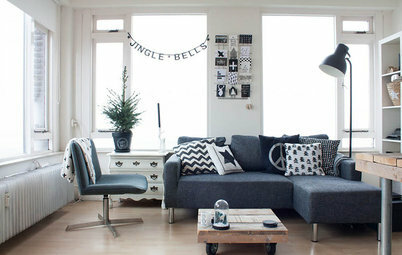 Why: Having your stuff organized feels good and makes finding everything easier. 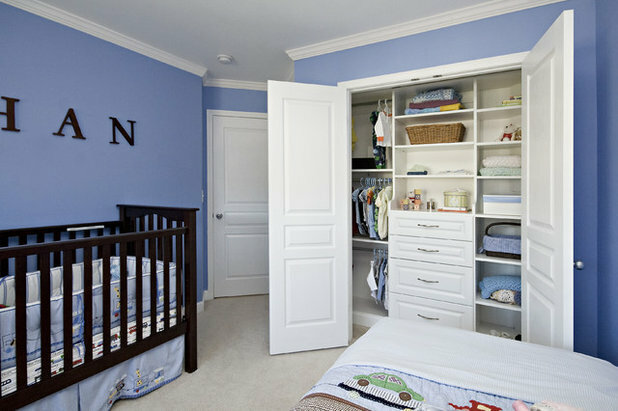 The most common type of bedroom closet is the wall closet, also called a reach-in. 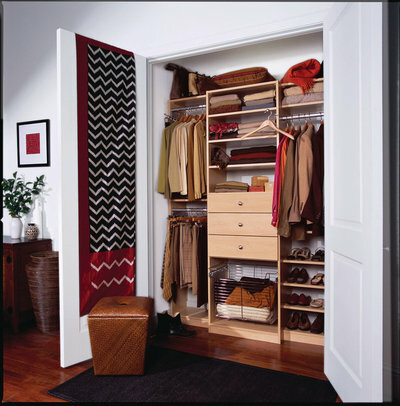 When you open the closet door or doors, the whole closet is accessible. Since the opening needs to be wide, there are several variations in doors. Sliders are common, as are bifold doors. 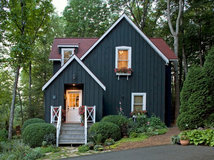 You can also have a double door (two doors open outward into the room) as shown. The minimum depth for a wall closet is 24 inches within the interior walls, not from the face of the doors. This gives clothing on hangers a couple of inches in the front and back when the hanging rod is centered in the space. 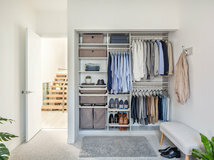 The width for a closet with two or more doors should be at least 60 inches; a closet with a single door can be narrower. 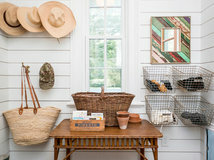 One frequently overlooked storage area is the linen closet. But a well-organized space for sheets and towels comes in handy on a daily basis. The ideal depth of a linen closet is 16 to 20 inches deep, like the one shown here. This will keep your linens easier to see. If your closet is deeper, simply make the shelves shallower. 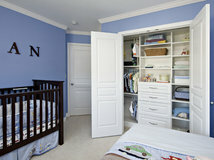 Walk-in closets have long been favored for their spacious accommodation of extensive wardrobes. If clothes will hang on both sides, ideally the width should be 7 feet. This will allow a 3-foot path down the center of the closet for moving around. Resist the temptation to line the back wall with rods, which tends to take away from space, because the rods have to overlap in the corners. 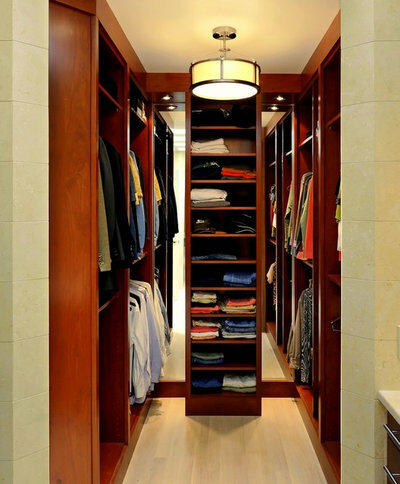 Higher-end custom-designed closets can be beautifully detailed, as shown here. Though these systems can be costly, they can free up bedroom space by eliminating the need for a large dresser or chest. 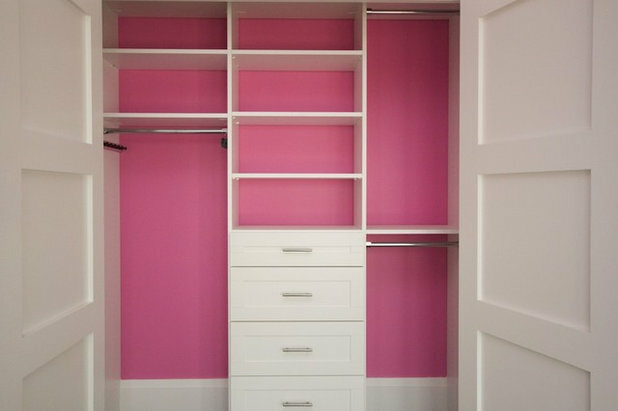 Many businesses specialize in designing custom closets, and they can usually provide estimates quickly. 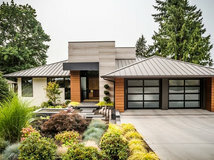 Policies vary on whether a visit to the home is required before the company designs anything, and whether there is a charge for the visit. Typical project length: Do-it-yourselfers can probably tackle a small closet in a single weekend. More complex configurations might take several days. 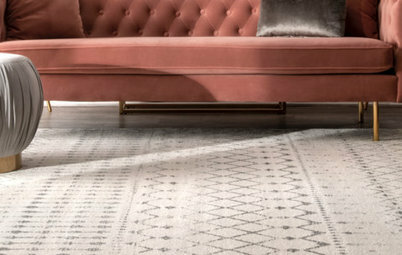 For custom-designed closets, a pro will need to measure your space and design the system, but the actual installation should take only a day or two. 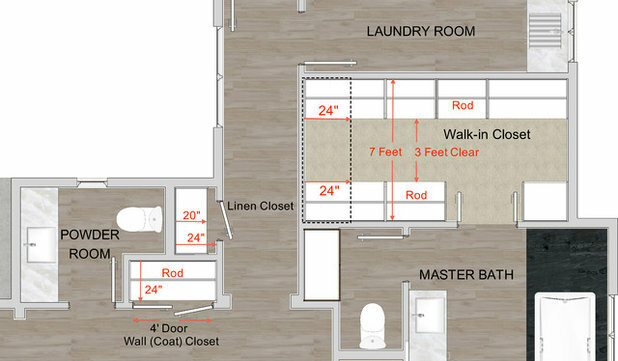 This floor plan shows the configurations for three closets: a wall closet for coats, a linen closet and a large master bedroom walk-in closet. Notice that the depth of the coat and linen closets is 24 inches. 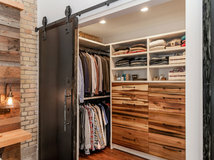 The coat closet has a single hanging rod and two small doors that open outward. 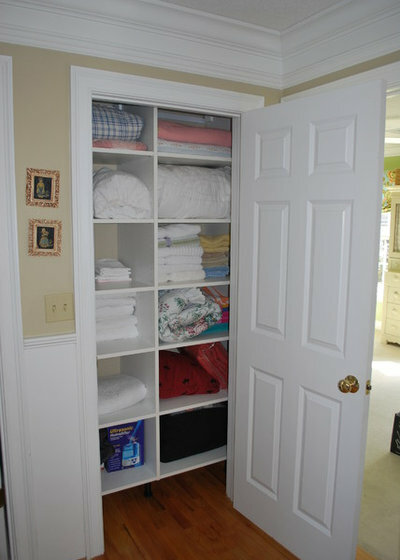 The linen closet has a 20-inch-deep shelf and a single door. 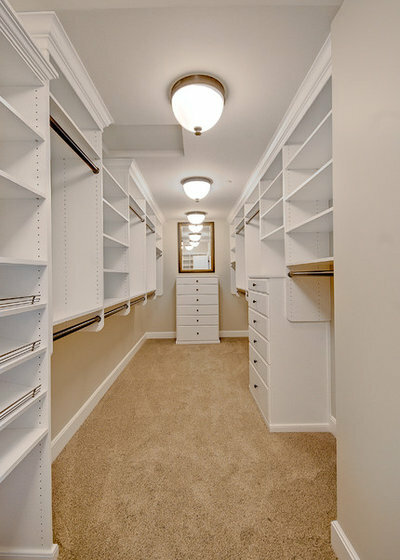 The walk-in closet is 7 feet wide and has a 3-foot-wide center aisle. 1. 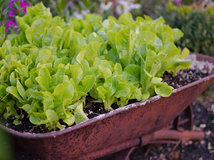 Consider what you need to store and how you would like it to be arranged. 3. 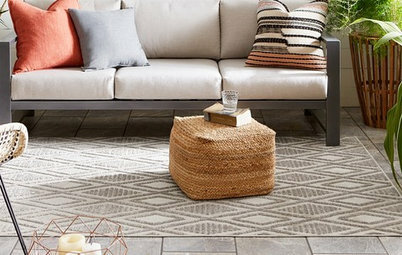 Determine what materials will satisfy your budget and requirements, and whether this will be a DIY project or require a professional. 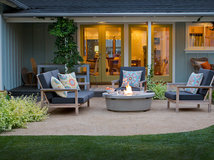 Vinyl-coasted wire systems are inexpensive, but they are not as sturdy as panel designs. 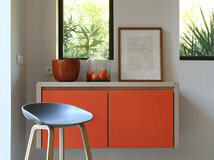 For panel systems you can choose inexpensive melamine, but this inexpensive finish may not suit your needs. 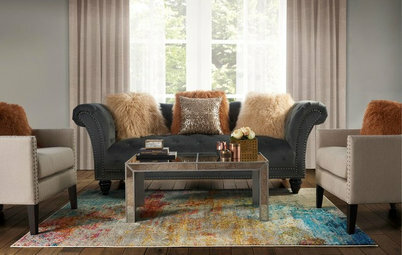 Wood-simulated finishes are more expensive. Wood veneers are in the upper end of the cost spectrum. 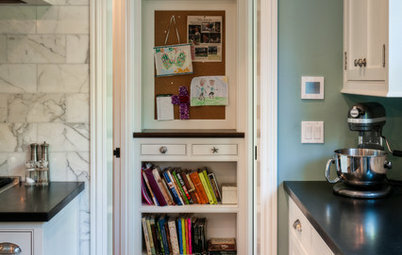 This closet shows an excellent use of the space, especially at the far end. 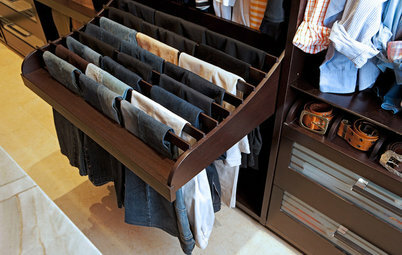 A shallow shelf with drawers provides places for socks, shoes, belts and other small items. 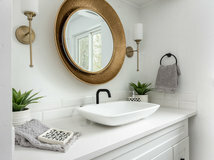 The depth of this fixture does not interfere with the ends of the rods on the back walls, and allows plenty of room to comfortably reach the back corners of the closet. An arrangement like this also helps to define individual spaces for those sharing a closet. 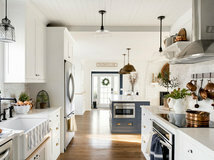 Layout tip: If your walk-in is less than 6½ feet wide, place hanging rods on one side and shelving and shoe racks on the other for good flow and accessibility. 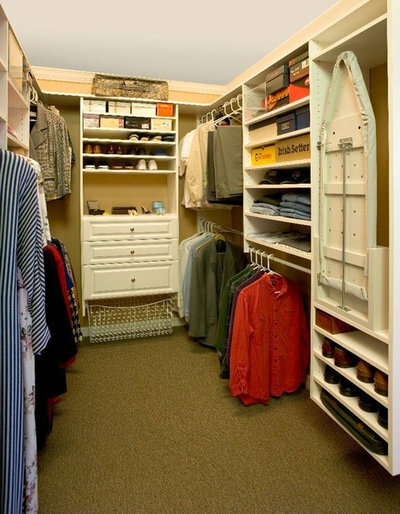 Permit needed: It is unlikely that you will need a permit for remodeling your closet. 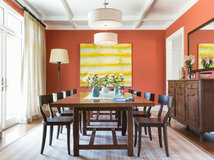 However, if you are going to add or alter any light fixtures, you might need one. Check your local building codes. 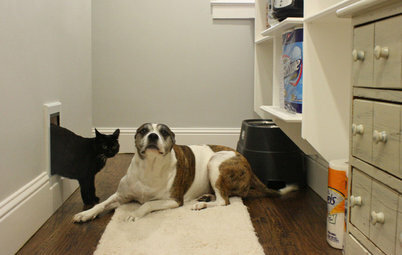 Best time to do this project: This is an excellent project for the spring or whenever you’re doing a major clean-out. You’ll have a better sense of what you need to store and be fired up for organizing. 7' wide minimum to have hanging clothes on both sides of closet. Have plenty of light in closet to see colors accurately. Put jewelry armoire in closet? Any floor plans for laundry IN the closet with sliding door to the bathroom? Envisioning one side with four linear feet for short/long hanging, plus two linear feet for shoe shelves, drawer unit, shelves above for boots. 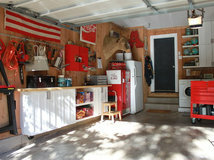 Other side: w/d--stack or combo--with shelves above for linens, hats. And a slot for ironing board. Only suitable for a single person with minimal wardrobe needs, I know! Appreciate your thoughts. My jewelry armoire is in the closet. I have shelves which hold my underwear, socks, hose, t-shirts, etc. Therefore, everything I need to get dressed is in one place. Also my shoe and handbag collections are on shelves above the hanging clothes with a step ladder to reach them. My closet works very well!